A group has hacked the French website for the EuroMillions lottery (http://euromillions.fr/) with warnings denouncing gambling as the work of the devil. A group going by name "Moroccanghosts", posted the message in Arabic and French - "Oh you believers. Wine, games of chance, statues all augur impurity and are the work of the devil." It exhorted people to quit gambling, saying it was used by the devil along with alcohol to "sow hatred between yourselves and turn you away from God and prayer". The company behind the site, Francaise des Jeux, took the passage down and the site was unavailable from last 12 hours later, but now Euromillions.fr redirects to https://www.fdj.fr, the secure website of the firm that runs the Euromillions lottery in France. The Twitter user Moroccanghosts appeared to threaten that other gambling sites could be next. So there may be more attacks. France has a population of 65 million, including an estimated four million Muslims, the largest Islamic population in western Europe. 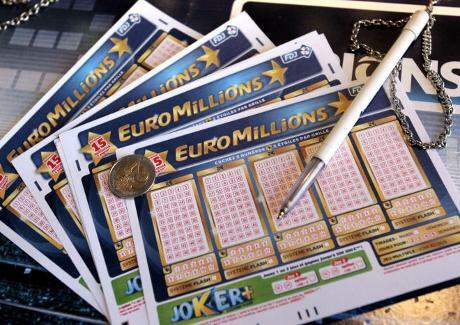 The note appeared yesterday morning but La Francaise des jeux (FDJ), which runs Euromillions in France, said that none of its games or any personal data were affected and that all pages hit by the hackers were in the process of being put back up. Recommendation for online gamblers, use a unique password, give as little detail as you can, and never reveal that password to anyone even if they are claiming to be from the site itself.